This photo from the US Fish and Wildlife Service's flickr photostream is accompanied by a sensible message about renewable energy -- if we keep renewable energy projects on degraded or already-disturbed lands, we can minimize ecological damage as we transition away from fossil fuels. Hopefully this message is heard by decision makers in Washington. 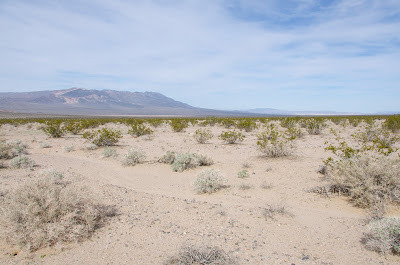 At this moment the Bureau of Land Management is considering plans by First Solar to build the Silver State South Solar project on a critical desert tortoise habitat linkage in the Ivanpah Valley, Nevada. Surely there are better places for those solar panels. The Obama administration this month released the National Fish, Wildlife and Plants Climate Adaptation Strategy , which details the threat climate change poses to a variety of ecosystems, and the steps needed to help species cope with what is likely to be long-term damage. 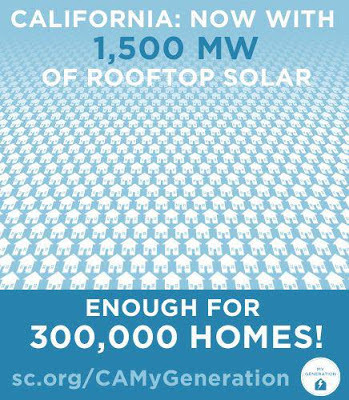 The Sierra Club's My Generation Campaign put together a nifty graphic to mark an important milestone: 1,500 megawatts of rooftop solar installed in California. We have a long way to go to match other countries' rooftop solar progress, but this is worth celebrating. Rooftop solar is bad for coal, and safe for wildlands. 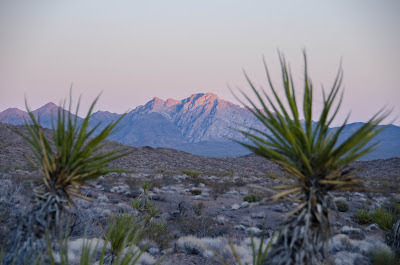 The Department of Interior yesterday announced final approval for three poorly sited renewable energy projects in America's southwestern deserts that will destroy and industrialize nearly 40 square miles of public lands -- an area larger than the island of Manhattan, and almost as much land area as the City of San Francisco. None of this destruction is necessary since renewable energy can be more efficiently and more sustainably located in our cities or on already-disturbed lands. 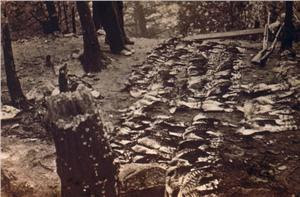 Hawk Mountain -- a ridge in Pennsylvania -- used to be a place where hunters would gun down dozens of raptors in a single day and bird carcasses would litter the hillsides. 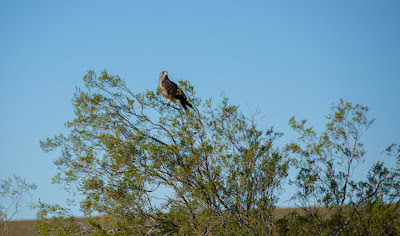 Hawks were viewed much like wolves are treated to this day -- as vicious predators -- and hunters would take shots at the birds as they followed currents over the ridge, encouraged by generous bounties paid by the states. What was then known as the National Association of Audubon Societies (now the National Audubon Society) was slow to pay attention to the killing of raptors, prompting citizen conservationist Rosalie Edge to step in and lease the land in 1934 and turn it into a wildlife sanctuary.